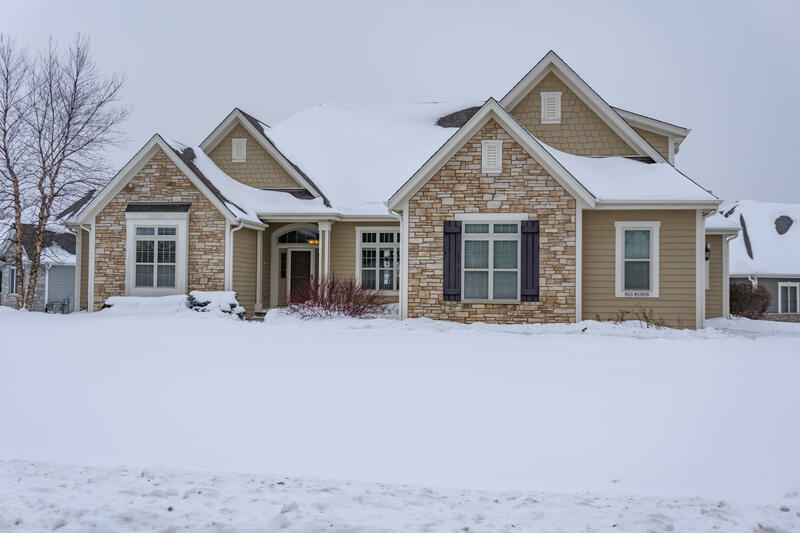 This deluxe 5 bed, 4.5 bath Pewaukee home is great for entertaining & has many upgrades from the custom ceilings to the finished LL. The elegant master suite has dual walk-in closets & a private ensuite w/twin sinks, jetted tub & walk-in shower. Beds 2 & 3 share a Jack-&-Jill bath. Beds 4 & 5 are housed on the finished LL w/a large rec room w/FP, full bar & 2nd kitchen & walk-out patio doors. The 2nd floor is home to an in-law suite w/a large bedroom, WIC & full bath. A grand foyer leads into an elegant LR w/a FP, coffered ceilings & windows that brings in plenty of natural light. A large eat-in kitchen w/walk-in pantry, a large island w/breakfast bar & a suite of quality appliances is a home chef's dream. Outside has a built in BBQ & firepit, retention pond gives a peaceful backdrop. Copyright © 2019 MetroMLS - All rights reserved. Information is supplied by sellers and other third parties and has not been verified. Real estate listings held by brokerage firms other than Assist 2 Sell Right Price Realty, Inc are marked with the BR logo and detailed information about them includes the name of the listing brokers. Listing broker has attempted to offer accurate data, but buyers are advised to confirm all items. IDX information is provided exclusively for consumers' personal, non-commercial use and that it may not be used for any purpose other than to identify prospective properties consumers may be interested in purchasing. Information last updated on 2019-04-20.